The Nurse’s Office generally opens at 7 AM and closes around 3 PM, although sometimes I remain open later. Please keep me informed of any medical changes with your child, whether short term or chronic in nature. I keep all the emergency cards with both the medical and non-medical information in my office. When signed by a parent or guardian, permission can be granted for Tylenol or Ibuprofen and to send your child to an emergency room if needed. I also have emergency contact numbers if parent cannot be reached. It is very important that the information listed on this card is kept current. If there are any address, phone number, or medical changes with your child, please contact my office to update. The importance of contact persons listed on these emergency cards cannot be overstated. Those individuals listed should be available during the day in the event of a medical emergency or community emergency, if parent/guardian cannot be reached, to pick up your child. Your child is only permitted to leave school with the individuals listed on this emergency card. If new individuals need to be added, please send a note in with your child. If at any time your child is to leave school early with someone other than a person listed on this form, written permission from the parent/guardian is needed. School is a place for your child to grow academically, emotionally, and socially. If medications are taken to assist him/her in any of these areas, it is important that they are taken as prescribed. If your child takes medications daily at home in the morning, and sometimes he/she forgets to take them, please send in some of that medication (a few doses is all that would be needed) along with permission for me to administer. The medications must be in a recent pharmacy labeled bottle or original box for those non-prescription medications and must be accompanied by parental permission for the Nurse to administer. I will ALWAYS call a parent prior to administering, as I cannot take the student's word that they forgot to take their medication at home. We all desire for your child to be as successful as they can, and the medications taken regularly without missing doses will help. No medication is allowed to be carried by your child during the school day, except inhalers and EpiPens with prior approval from the Nurse. 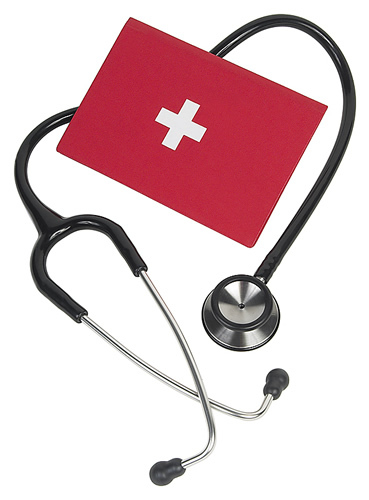 Students need to report to the Nurse's office if they are ill and I will call you if needed. Students are not allowed to call you if they are ill. Please support me in this endeavor. Please do not hesitate to come in to see me or contact me if you have questions or concerns.